Note: I collect and buy Sheet Music with gambling and playing card images. thus letting you know what I need. I wish I owned this one. It is from 1878 and is in the Library of Congress. To read the lyrics, click here, then clck away at the bottom of that page. Most of the sheet music below I own. 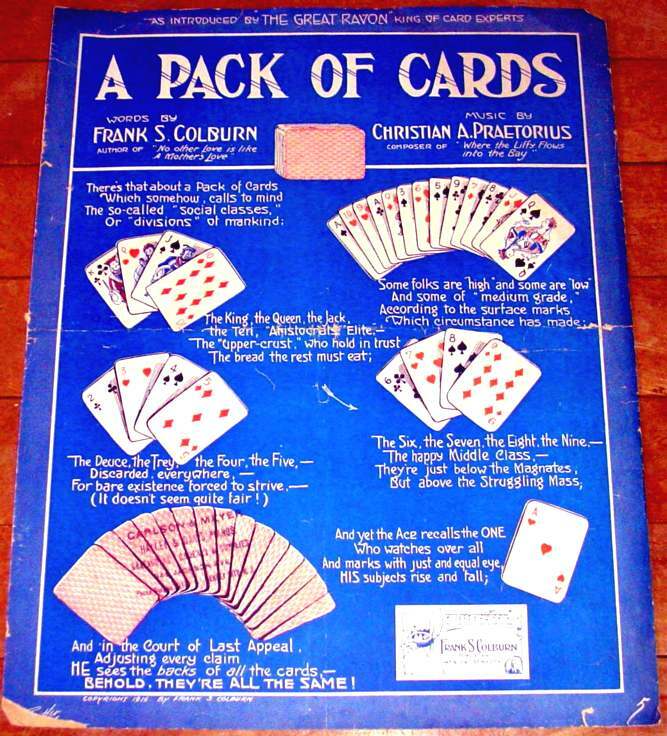 Click here for other gambling-related sheet music pictures. Below are some of the song sheets from my collection. In this one, note the dandy caught with three dice. Copyright 1905. ¶ Gimme Hush Money, copyright 1905. 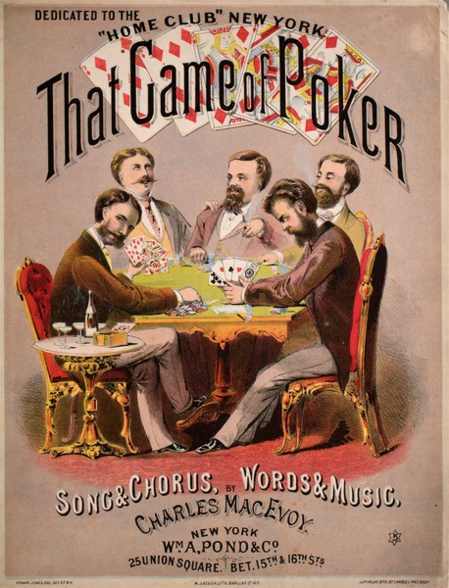 "That Queen or Poker" is my oldest one -- copyright 1883. The Pocahontas one is 1919. 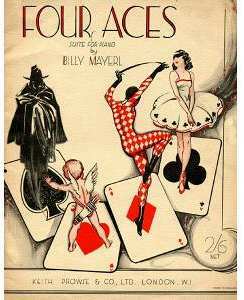 Three with a named playing card in the title. Some folks are "high" and some are "low"
And some of "medium grade,"
BEHOLD, THEY'RE ALL THE SAME! 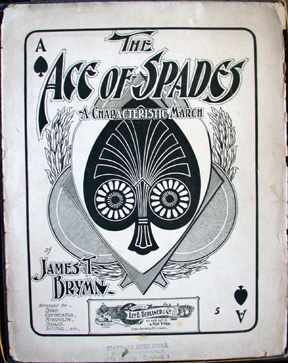 "The Ace Of Spades" 1900 Instrumental March By Black Composer James T.Brymn. Not mine; it went for about $103 on eBay in Oct. 2005.